Just like the Pharmaceutical and Biotech companies are realizing that IT services is a non-core activity that they tend to focus on due to growth of IT departments over a period of time. In this era of “Virtualized Everything”, outsourcing has become a common theme in IT for these organizations. Having said that, they typically outsource their R&D operations to specialized organizations like CROs. CROs tend to provide mostly drug development activities, which include initiating and monitoring the clinical trials as well as providing the necessary IT backbone to manage data and documents created as part of this process. Because of renewed focus on core competencies, more and more CROs are looking for partners to outsource their IT systems and services. As a result of this, a new trend is emerging where in there would be two categories of CROs, Functional Service Providers (FSP) and Technology Service Providers (TSP). Technically speaking, TSPs are not really CROs as they are not providing any clinical research services, however they are enabling the FSPs by providing the technology services required. The difference between your typical IT service provider and the TSP is that the TSPs should understand the Life Sciences domain. The primary reason for this is the regulatory compliance that is demanded by the Life Sciences industry in general. 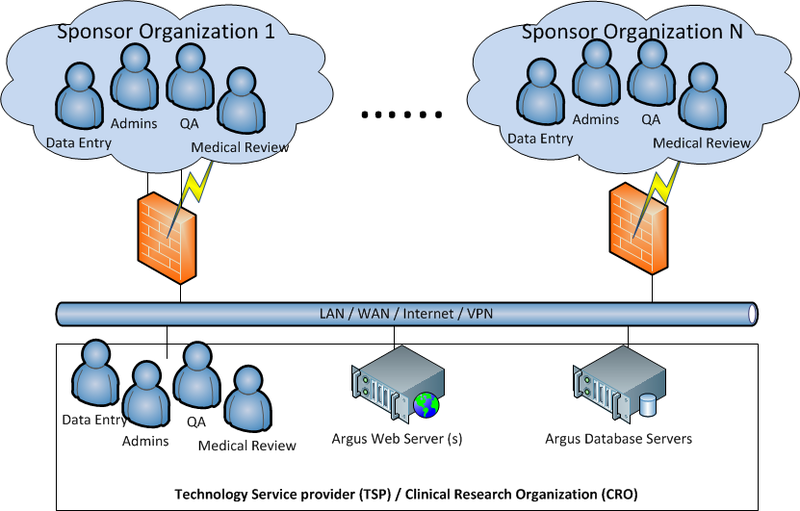 While the above mentioned services cuts across multiple areas within the clinical trial process, the question arises as to why would these organizations require domain knowledge? While the above mentioned are some high level activities, there would be always some grey areas where one would questions as to whether a specific service falls under a FSP or a TSP. For example, if you take designing CRFs, ideally you would want an FSP personnel to design these as they would understand the protocol easily and be able to translate that easily into the form design. Having said that, the CRFs also require some programming skills in which case you would need a TSP personnel. This is one of the ways a TSP differentiates from a regulat IT Service Provider.